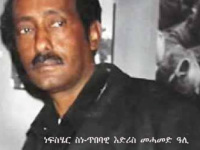 Eritrean Unity for Justice is a mass movement (and not a political entity) which was founded by the late Dr Tewelde Tesfamariam (AKA Wedi-Vicaro) when he toured many countries setting up committees in the respective countries. 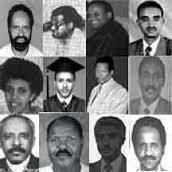 The committee in the United Kingdom was thereby elected when the late Dr Tesfamariam held a public meeting in London. EUJ was set up to find a way out of the current predicament that we Eritreans find ourselves in. Our mission is to unite Eritreans from all backgrounds by promoting a society where ethnic, religious, gender and cultural differences are all respected. To promote human rights and ensure the equal treatment of all Eritreans. To help raise awareness of constitutionalism and help promote the rule of law. To ensure that all national, regional bodies and International organisations are aware of the current Eritrean predicament. Mobilize Eritreans to unite and take ownership for the purposes of restoring justice, rule of law, freedom and a democracy in Eritrea. ​​​​Work together with other civic societies, human rights activists, NGOs and political movements for the establishment of rule of law, democratization and sustainable development. 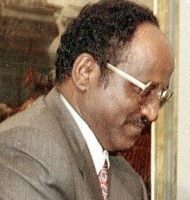 To form a think tank body which can advise, guide and develop Eritrean organisations and individuals for the purposes of developing the framework for constitutionalism, democratization, law and order. To create safe environments for dialogue and reconciliation to take place among Eritreans. To ensure that Eritrean intellectuals are given the platform to discuss, debate and inform for the purposes of creating a road map/ mechanism to enable a democratic transition. To advocate and lobby national, international bodies, NGOs and governments for the purposes of achieving our mission. To enable the establishment of strong Eritrean communities in the diaspora. To create an investigative committee/body whose function is to record crimes committed against Eritreans with the aim of ensuring justice to its victims.